of Ibadan, Nigeria, exemplifies those traits. The capital city, in the southwest of the country, is home to three million people and one of the main trades of the area is agriculture making these attributes key for success. As part of that industry Olufolajimi works a one-hectare farm that he leases. A former farm worker himself, he has gone on to become independent using trellising, and improved seeds to see his Solanaceae crops flourish. His former experience as a farm worker has helped him with running his own land. Especially with the use of new farming techniques learned. Trellissing is an advantage Olufolajimi uses when dealing with tomatoes, one of his main crops along with peppers. Keeping the vines above the ground increases airflow keeping the plants drier. This is especially important as many tomato varieties are susceptible to various types of blight and mildew. Trellissing also aids in harvest time as the tomatoes and peppers are easier to find, speeding up the harvest. Olufolajimi supplements the strong seeds from East-West Seed with a natural water supply and the use of agro-chemicals to thwart blight and to improve crop yield. While the city is the most populous in the Oyo state Olufolajimi said, “It is difficult to find hardworking farm workers.” The lack of committed labor makes the everyday chores and maintenance of the land particularly difficult. The poor workforce is not the only problem. The Nigerian government imposes an agricultural tax on imports that makes thriving economically more difficult. Despite the difficulties Olufolajimi has increased his harvest dramatically. The father of two, has seen his income rise from $500 a year to $8,000 per year. 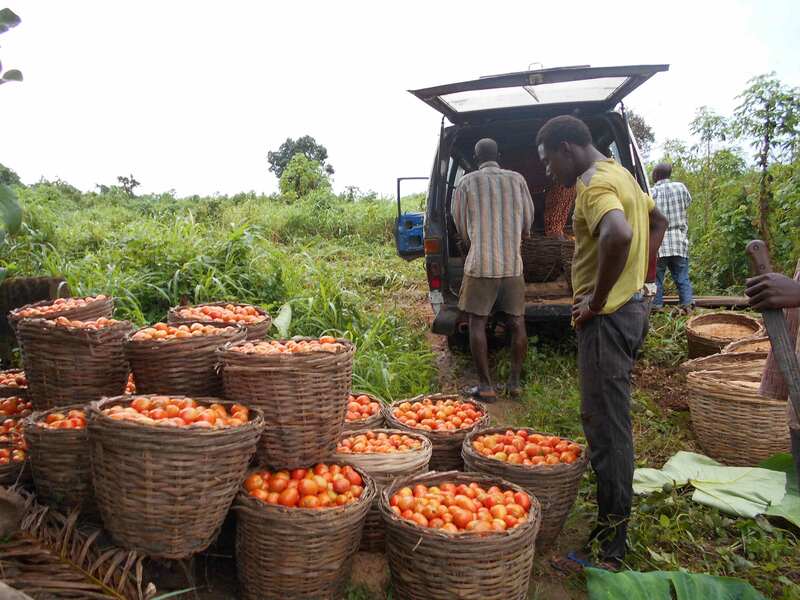 By increasing his profits he has expanded his choices, “Farming has given me more business opportunities which has translated to financial freedom,” Olufolajimi said. This independence has allowed Olufolajimi to give his children and family a better and more stable life.